We were formed to focus primarily on the oil & gas sector in the UK but due to Brent Crude trading around $10 a barrel at that time the company had to look further afield into different industries to develop its business. This gave us the resolve and skill set to tackle the most challenging requirements allowing us to grow into the company we are so proud of. SVS has developed the skill set to handle the most complex of projects on a global basis with a reputation of delivering high quality products meeting critical paths. 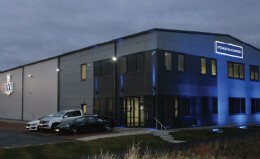 Located at our new custom-built headquarters in Westhill, Aberdeen - which includes advanced testing & workshop facilities that we shall continue to develop and add additional equipment to further enhance our capabilities. 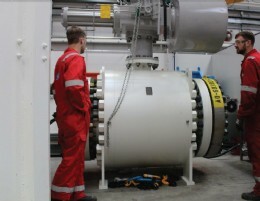 We are specialists in the design, supply, testing, repair, reconfiguration, maintenance and inspection of Topside & Subsea valves, actuators, and ancillary equipment. Over the years SVS have built their substantial engineering team with knowledge and expertise, behind this has been the strength and guidance of their Managing Director and owner, Gerry Henry. His will and determination has kept the business moving forward through challenging circumstances. During recent market uncertainty, the company demonstrated the ability to adapt quickly looking at ways of assisting clients to improve efficiency and reduce costs through our investment in people. SVS have successfully planned, managed and delivered the supply of valves and actuator packages to well-known green and brownfield assets. 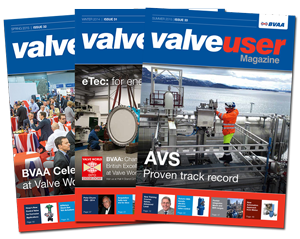 Now offering a bespoke Total Valve Management (TVM) service on a global scale, we strive to save clients time and money without compromising on quality of services provided. With TVM we tailor all aspects of supply, testing, maintenance, inspection and training to meet our clients needs. Our knowledge and experience in GAP and Root Cause Analysis (RCA) allows us to support our clients in improvement of overall efficiency, make cost savings and improve safety and training. We also conduct a full system review of client procedures, documentation and applicable pipeline and instrumentation diagrams to allow us to provide a tailored package, our forte is to advise where the client can make savings around engineering, documentation, inspection & testing costs. SVS� innovation and success has led us to grow our business diversifying into new industries including: Refining, LNG, Ship Building, Power Generation, Mining and more recently Pulp & Paper.